[fa-icon="check-square-o"] Do they charge after hour fees? Some vendors charge a higher rate for services utilized outside standard business hours, i.e. nights, weekends and holidays. Throughout the industry, after hour fees are pretty standard for on-site interpreting, but some vendors charge after hour fees for on-demand services, like telephone interpreting, too. If you’re likely to use telephone interpreting services after hours, make sure to consider the added cost of working with a provider who charges after hour telephone interpreting fees. [fa-icon="check-square-o"] Is customer support available 24/7/365? Vendors will frequently offer language services 24/7/367, but limit customer service to standard business hours. So what do you do if you're having an issue accessing services after hours? You don’t want your message sitting in an inbox or voicemail that won’t be checked until the next business day. Find a vendor that offers 24/7/365 live-answer customer support, meaning every customer support inquiry is answered by a human, no matter what time it is. [fa-icon="check-square-o"] Can they support emergency requests? When it comes to language services, you can't always plan ahead. Think of a hospital. When a patient with limited-English proficiency enters an emergency room, interpreting services are needed immediately to ensure the patient receives timely medical attention. In some cases, an on-demand telephone interpreter is sufficient. But what if that patient is Deaf and requires an American Sign Language (ASL) interpreter on-site or through Video Remote Interpreting (VRI)? While you can't always predict when you will need interpreting services, you can make sure you have a language services provider that is prepared to support your needs no matter when they arise. 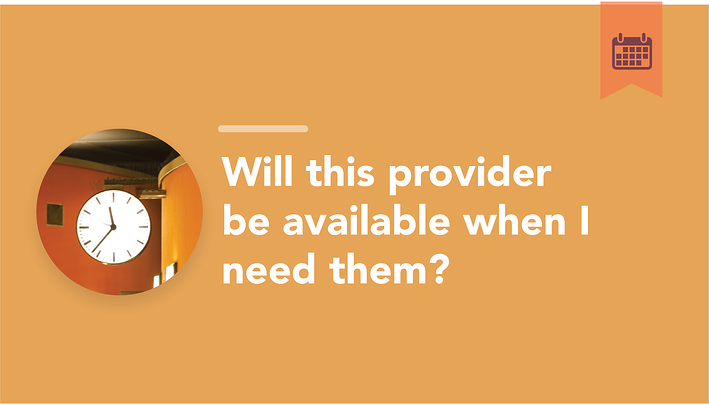 Find a provider that's adequately staffed to service emergency requests and has automation tools in place for rapid response. If a video interpreter isn't available in the language you need, can it automatically rollover to a telephone interpreter? If there isn't a local ASL interpreter available to support an emergency on-site request, can you connect to an ASL interpreter through VRI? These are questions you should ask a vendor to determine if they're prepared to support all of your needs. [fa-icon="check-square-o"] Do they offer multichannel language services? When you begin your search for a language services provider, you may only have a need for a single service – perhaps you run a call center and need telephone interpreting services to support your limited-English-speaking customers. But with consumers increasingly expecting an omnichannel experience, you'll likely need to support additional service channels in the future. By selecting a provider that supports multiple service channels – telephone, video, email, chat, text, etc. 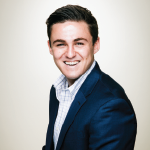 – you'll be able to provide a more seamless experience for your customers. [fa-icon="check-square-o"] How many languages do they support? To make sure your needs are met as your company evolves, work with a provider who offers translation and interpreting services in a wide variety of languages. Even if you only need support for a few languages right now, your customer base is likely going to grow, which means your language needs are going to change. [fa-icon="check-square-o"] Do they offer a single platform to manage all language support needs? Managing language services doesn't have to be difficult. Some companies use multiple language services providers (e.g., one for on-site interpretation, another for telephone interpretation, etc. ), but this results in disconnected services that take more time and money to manage. Working with a provider that offers a single platform for managing all of your language support – including other vendors and internal resources – streamlines workflows, minimizes costs, and unifies all your services across your entire enterprise. [fa-icon="check-square-o"] Are their linguists certified, and what does "certified" really mean? In the language services industry, “certified” can mean a lot of things. Some certifications only apply to certain industries and languages. Some are more meaningful than others, like the nationally accredited Certified Medical Interpreter (CMI) credential which is issued by the National Board of Certification for Medical Interpreters. The CMI credential is accredited by the National Commission for Certifying Agencies (NCCA), the accreditation body of the Institute for Credentialing Excellence (ICE), making it one of the most highly regarded interpreter certifications in the healthcare industry. However, as of the publish date of this post, it's only offered in 6 languages – Spanish, Russian, Mandarin, Cantonese, Korean and Vietnamese. Make sure you understand which certifications you’re talking about and if they’re meaningful in your situation. And remember, there aren't interpreter certifications for every language, especially rarer ones. In these cases, professional interpreting experience can be used to qualify linguists. [fa-icon="check-square-o"] Do they have a quality monitoring process? Qualifying linguists during the recruiting process is just the first step in ensuring quality. To ensure you receive the highest quality language services, work with a provider that has a documented quality monitoring program. When evaluating vendors, find out how they monitor quality for each service channel, and at what frequency. How do they handle interpreters who perform below the acceptable threshold? What is their escalation process? What corrective or disciplinary action do they utilize? 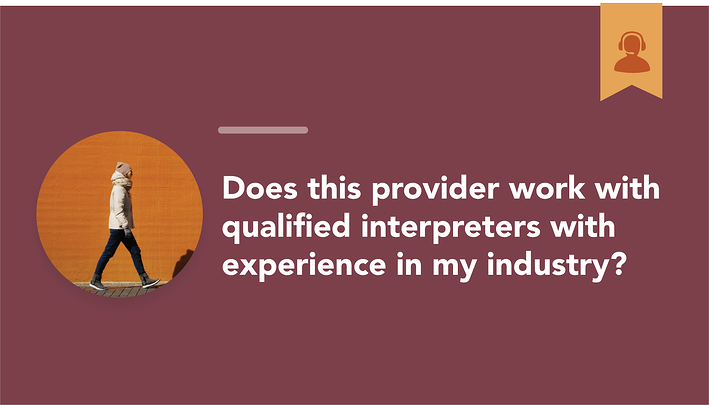 Do they reward interpreters who consistently provide exceptional service? Make sure you have answers to all of these questions when evaluating if a vendor's quality monitoring process can meet your needs. [fa-icon="check-square-o"] Do they have a quality calibration process? What does quality mean to you? What does quality mean to a particular language services provider? Do they mean the same thing? The best way to find out is through quality calibration. Quality calibration involves periodic touch points to ensure quality measures are aligned. When you and your vendor have a mutually agreed upon definition of what quality looks like, you can ensure they're consistently meeting or exceeding your expectations. “Affordable services” without the value component immediately translate into the very things you’re trying to avoid: high costs, low efficiency and frustrated customers. 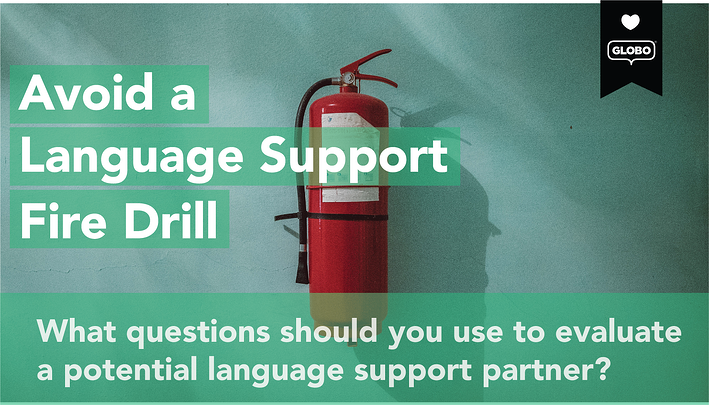 Make sure you find a language services provider that offers long-term value so you can avoid a language support fire drill.